WE LOVE THE LADIES BEHIND WEDDINGS BY FUNJET! Being the traveling photographers & videographers that we are, we were thrilled to begin working along side an incredible team of wedding concierge that plan destination weddings. They are based right here in Milwaukee, Wisconsin. 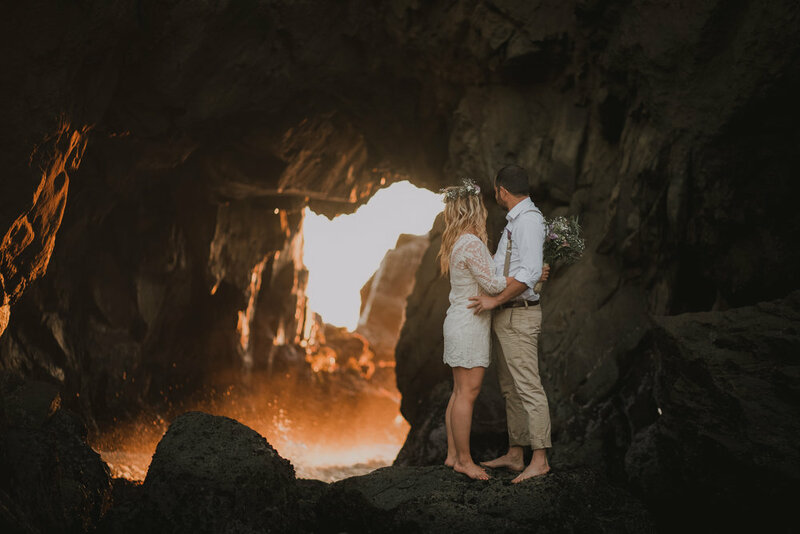 In starting our partnership with them, they interviewed us with some fun and meaningful questions behind why we do what we do as local and destination wedding photographers & videographers, as well as what it means to us. Recently, they launched a Destination Vow Renewal Contest that is running throughout the month of October. If you know a deserving couple that has been married 10+ years, we highly recommend you enter them into the contest! We will be the lucky ones capturing photos & video of the vow renewal. The winning couple will get to choose between a wedding in Royalton Riviera Cancun in Mexico or Royalton Blue Waters in Jamaica! We can't wait for this adventure! Check out some of the amazing details behind wedding concierge, Ashley, and her love for her (amazing) job! HEY ASHLEY! WHAT IS YOUR ROLE WITH THE COMPANY? My position at Weddings by Funjet is the role of a Wedding Concierge. The title for this position was carefully crafted to represent the large scope of everything that we do for our clients. From the initial getting to know you stage, to helping pair couples with the perfect destination and resort, all the way through planning and managing every detail of their dream wedding! We truly strive to give everyone an amazing and seamless experience from start to finish. My goal is to create a friendship and relationship with each and every client that has a foundation of trust and ease to it. Every destination wedding is unique and I always do my best to let the vision of the couple come to life, showing their love for one another, and simultaneously providing a white-glove, and stress free service experience. ONCE A COUPLE DECIDES THEY WANT TO HAVE A DESTINATION WEDDING AND THEY CONTACT YOU, HOW DOES IT WORK FROM THERE ON? After a couple decides to contact us, we take some time to talk with them over the phone asking a variety of questions to get to know them as a couple, and their anticipated guests. Understanding their likes, dislikes, and dreams all play a large role in connecting them to the perfect resort and destination. After our initial conversation, we send over several resort options with wedding packages, pricing, and photos to give the best example of what to expect. Upon confirming a destination, resort, and wedding date, we then pair them with an Accommodations Specialist on our team who will be their go-to person for assisting them and all of their guests with travel reservations and questions. Of course, we have the ability to secure wedding group blocks and awesome discounts and incentives for wedding groups who travel. In the midst of getting guest travel booked, the concierge continues to work side by side with the couple to get their wedding plans set in place. WHAT'S THE BENEFIT OF BOOKING THROUGH A TRAVEL COMPANY LIKE WEDDINGS BY FUNJET VERSUS A COUPLE BOOKING ON THEIR OWN? Weddings by Funjet is made up of a vast amount of valuable resources and over 40 years of trusted travel expertise paired exclusively with professionally experienced wedding planners. By working with Weddings by Funjet, you receive a personal Wedding Concierge for planning your wedding and your group’s own Accommodation Specialist to help with travel. We are privileged to be partnered with the leading resorts in Mexico and the Caribbean to provide wedding groups with exclusive rates and incentives. Our white-glove service never stops, while we provide the basics, we even offer amazing add on experiences that allow you to have your wedding concierge in destination to take care of all the behind the scenes tasks while you soak up the sun. WHAT'S USUALLY INCLUDED IN A DESTINATION WEDDING PACKAGE? While inclusions range based on hotel and destination, couples will be happy to know that all packages have the ability to be tailored to their every need and desire. Most wedding packages start with the basic inclusions such as ceremony set up, officiant services for symbolic weddings, bridal bouquet, champagne toast, and a non-private dinner. Of course, upgrades and additional add-ons can be selected to make it the perfect event to mirror the couples’ vision. Nearly anything you can imagine is possible when it comes to a destination wedding! WHAT'S THE AVERAGE COST FOR A DESTINATION WEDDING FOR BOTH THE COUPLE & THEIR GUESTS? It’s impossible to give an estimated number because there are so many variables to consider. For starters, we are always happy to say that a destination wedding will come in costing much less than an affair state-side. However, it is important to know that destination weddings are not free. Costs will vary based on the number of guests, what wedding package is selected, privatization of your dinner or reception, and venue location. Of course, we do our best to gather as much information from our couples at the very start so we can help them estimate a budget, and then maintain that budget. WHAT ARE SOME IMPORTANT THINGS YOUR CLIENTS SHOULD KNOW WHEN IT COMES TO PLANNING A DESTINATION WEDDING? With any wedding or vow-renewal, it is important to remember that this day is about you as a couple, your love, and your journey together so far and the journey yet to come. Be sure to add pieces to your day that tell your story. Keep your expectations realistic, and understand that with a destination wedding, it is likely that not everyone will be able to make it to celebrate your day. Planning a wedding easily becomes overwhelming and stressful, but our goal at Weddings by Funjet is to eliminate those feelings so that you feel confident and at ease during the entire process. Coming into the process with solid numbers when it comes to anticipated guest count and a budget for your wedding will make the entire planning process much easier. Be sure to have visuals, and don’t be afraid to be real and personable with your Wedding Concierge. WHAT ARE THE BIGGEST DIFFERENCES BETWEEN MEXICO & THE CARIBBEAN? DO YOUR CLIENTS SEEM TO PREFER ONE OVER THE OTHER? Mexico and the Caribbean cover a vast amount of area! Of course, within these two “sections” there are many different destinations to consider. Altogether, the water is warm and the sun is bright no matter where you go. Of course, the major differences may come into play when we talk about the number and types of resorts available. If you are looking for a budget-friendly, culturally satisfying, and family-friendly experience, Mexico will likely be the place to go. If you are looking for a more adult oriented, romantic, exclusive, or luxurious destination, well of course Mexico can offer these things but the smaller more discrete islands like Jamaica, Punta Cana, and St. Lucia will provide just what you are looking for. Other considerations between Mexico and the greater Caribbean include the price point you are trying to stay within. Most of the time, you will find that the smaller the destination, the more expensive it may be in terms of hotel and airfare. Every destination has a special place in my heart for a specific reason. However, I find Riviera Maya in Mexico to take the top spot. The reasons are endless, but the biggest factors include the extremely amazing level of service and dedication provided by staff [at any resort], the culture of the Mayan people, the endless number of excursions, activities, and sites to visit, and of course- the food! In general, nothing makes me happier than sitting on a calm beach overlooking the beautiful bright blue Caribbean Sea and enjoying the company of loved ones with a few cocktails in hand. Traveling is all about experiences and making memories. I always encourage others to soak up the local culture, meet new people, and try something new whether it is a new excursion, a new drink, or a new meal! I can truly say that I wake up every day and look forward to going to work. Loving my job is easy because I love the people I work with and work for. All of my clients are truly amazing. I am so blessed to meet people who are both local or from around the world. Having the privilege to work with couples to create their dream wedding experience is something special. I have the chance to help and make a difference in someone’s life; I help their vision come together. A friendship is created and it’s so beautiful to be able to see their journey from engagement all the way through to their vows. I have the opportunity to see people during their happiest moments in life, how cool is that? In addition, I am also fortunate to work with a great team. Our company is family owned and operated and has some great values that make a difference. I am fortunate to feel empowered to be able to give the highest level of service to couples while still being able to be their confidant and friend. DO YOU HAVE A FAVORITE MOMENT OR MEMORY FROM YOUR JOB? My favorite moments in my job come when I am able to see how perfectly everything plays out on the wedding day- the excitement, anticipation, nerves, and energy are captivating and alluring! It is so special to work with couples who are in love, and to help make their wedding dreams come to life. Of course, as it isn’t always possible to be at every wedding, seeing photos and hearing the exciting stories when couples return home from their destination wedding always makes my heart happy. It’s a beautiful thing to watch people who are in love; every story is unique and memorable! IF YOU'RE CONSIDERING A DESTINATION WEDDING, REACH OUT TO WEDDINGS BY FUNJET TODAY!